5 Tips to Design a High Selling Kids’ Menu — Kidzsmart Concepts Inc. Kids can be the harshest restaurant critics. So, your children’s menu should be about much more than health. It’s also about making sure that the way the food tastes and looks appetizing enough to turn your fussy eaters into happy eaters. Here are a few ways restaurants can make their menus satisfy both kids and parents. Trying to read a menu when you’re hungry like a wolf is not always easy. This is true for all customers, parents and kids alike. The parents’ eyes often ping between their set meal options, healthy choices for kids and what’s less expensive. Kids on the other hand, might be looking for comforting or delicious treats. Help the whole family with their decision by including a few healthy choices in the kids’ menu. Fewer options can make for an easier choice. Including photos of the special or favorite menu items on the children’s menu is a very good idea. Some young visitors may not read well as yet, and pictures can help them choose their food. For the little ones able to read and their parents, pictures clarify visually their expectations and help in the choice of the dish. There are two particularly popular types of menus: the flat placemat variety which commonly has some puzzles and activities, and the folded menu with multiple pages and different activities. Activities are what kids like best. Coloring pages, mazes, and connect-the-dots are great for little kids while older ones might like spot-the-difference, tic-tac-toe, and trivia games. Funny stories, on the other hand, will have kids giggling as they wait for their meal while stories with lessons in them will ensure they take home some wisdom along with their satisfied stomachs. Kidzsmart makes it simple for you to design a custom activity menu for children. The name of a dish has a key effect on little diners and their parents. A specific label for example directs both parents and kids’ attention towards a feature in a dish, and hence helps bring out certain flavours and textures. Picking an easy-to-pronounce word like suppli (rice balls), is another way to involve children in the choice of the dish and make them feel included and considered in the dining experience. Every parent has heard that children should be eating a "balanced diet." But what is a balanced diet? 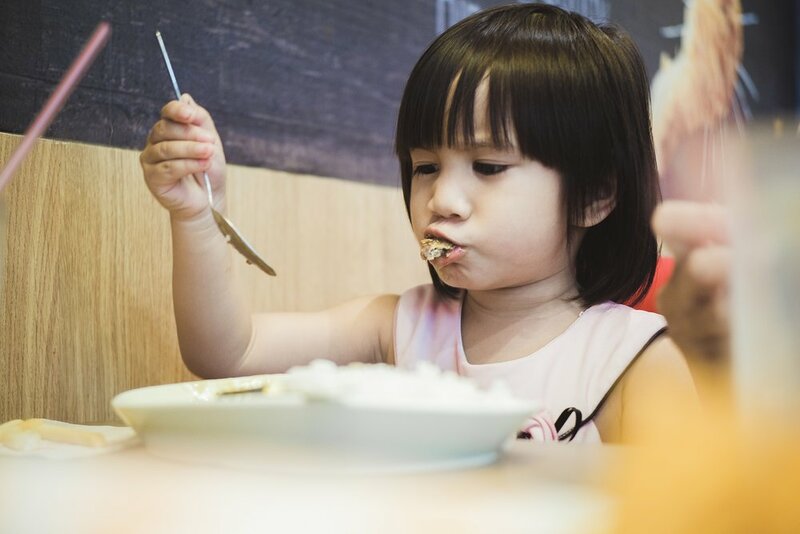 Here are the nine nutrients that parents should be considering for their children’s diets according to nutritionists: Protein, carbohydrates, fats, calcium, iron, folate, fiber, vitamin A and vitamin C. Make sure that your kids’ menu items include all these diet components and you will gain the trust of the parents too!